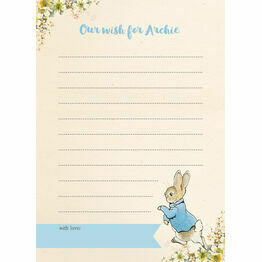 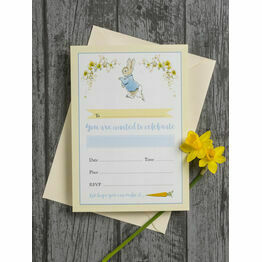 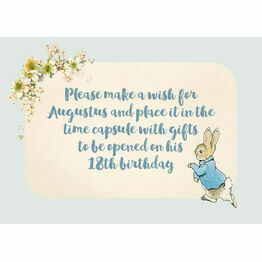 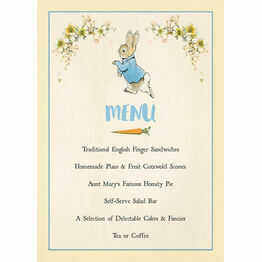 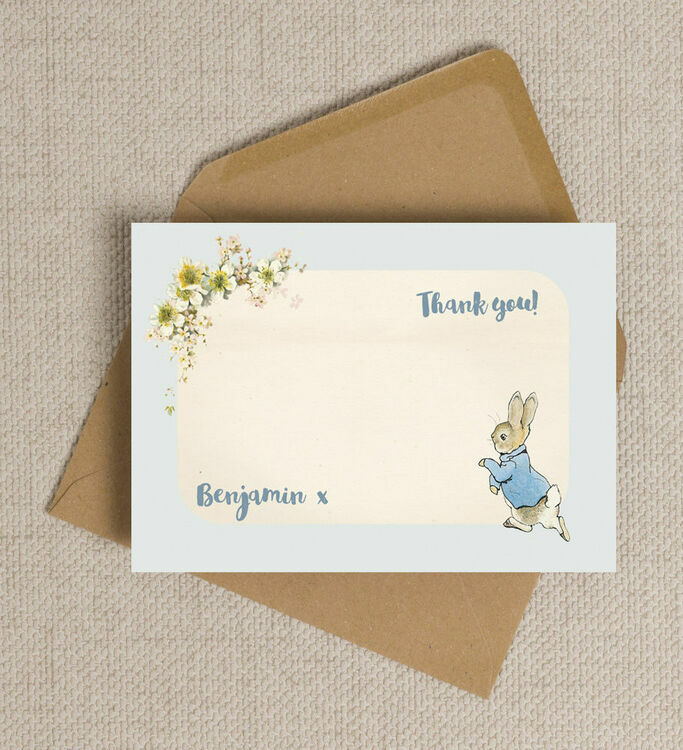 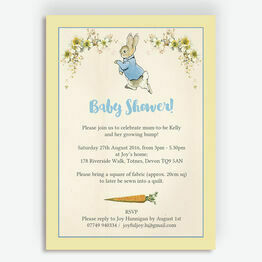 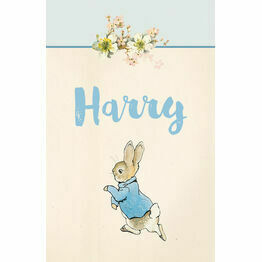 Say thank you following a birthday party or any other special occasion with these beautiful personalised cards.This design features Beatrix Potter's classic children's story character Peter Rabbit, with a pastel blue colour and sweet details. 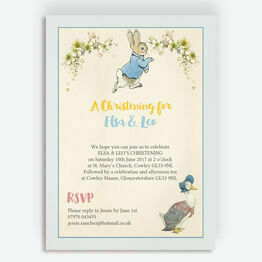 A beautiful addition to the invites. 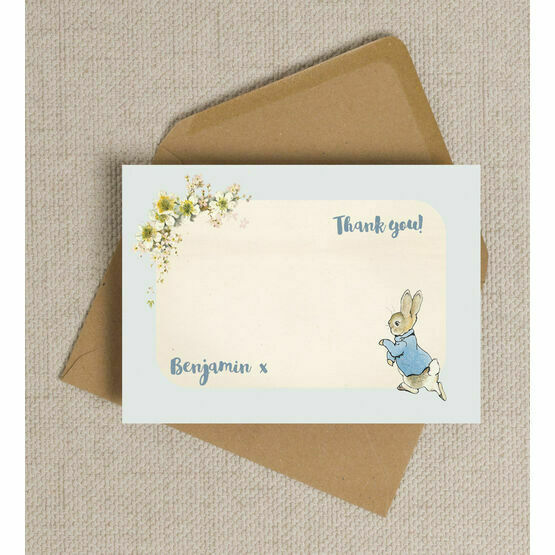 Very happy with the thank you cards!! Beautiful and complement the invitations so well. 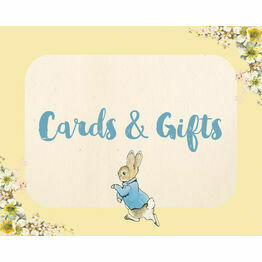 Lovely quality card (for the price), also used the personalisation service to change the blue to pink (for my little girl). 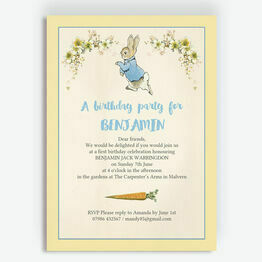 Came super quick.